I bet kids will enjoy doing this in classroom..have a nice day! 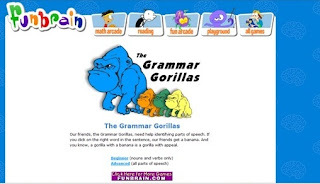 Hello friends and lovely students..Today, I have found a good & exciting grammar website. I think it is good to help us to learn grammar and enhance our knowledge in writing skill.. Have fun my dear!! English Paper 1 contains 40 multiple choice questions. They cover the vocabulary, social situation, grammar and comprehension aspects of the language. In Section A, pupils are to answer questions which test their vocabulary. Pupils are given three different types of questions namely word level questions, phrase level questions and sentence level questions. For this section pupils need to study the pictures given in order to answer most of the questions. Pupils can use the ‘Wh’ questions to derive the information from the pictures. Make sure you read all the options given. Understand them and finally make your choice. Remember to choose the best answer. In Section B, different social situations are given through the speech bubbles in the pictures. Before proceeding to the options (A, B, C and D), look at the picture and then read the dialogues in the speech bubbles. Understand the social function in the questions (to enquire, to assure, to inform, to explain, to apologise). Then choose the best sentence that fits the empty speech bubble base on the social function. In the grammar section (Section C) pupils are required to answer questions on grammar, punctuation and spelling. For grammar, pupils need to read the questions and understand the grammar rules that need to be applied. After choosing the answer, you need to think whether the answer you have chosen is the best answer. Reason out the answer by recalling the grammar rules you have learnt. When choosing the answer for the punctuation questions, pupils need to read all the options given. While reading the sentences, circle the errors. Then compare the sentence with the other options in the question until you find the sentence without errors. When answering questions on synonym or antonym, make sure you give the synonym or antonym in context (the meaning of the word used in the sentences) and not its general meaning. For questions that test spelling, pupils need to read the options given carefully. 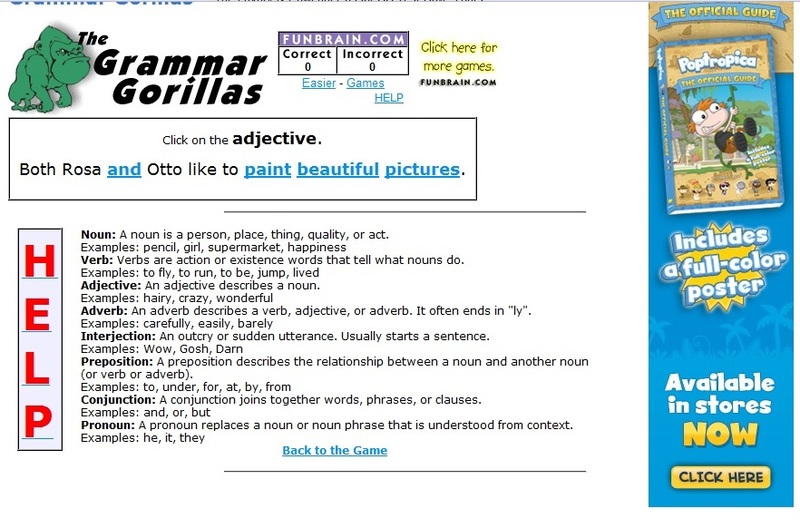 After that compare the words with the other options and choose the word that has the correct spelling. Usually questions in Section D test pupils on vocabulary and grammar. Read the text given first then determine the tense. Look for clues (words that show the tense) in the text to help you. You also need to refer to the picture given. A linear and a non linear text are given in the comprehension section. Pupils need to read the text given at least twice. During the first reading, pupils need to get an idea what the text is about. This will help them to get a general view of the text. During the second reading, make sure you understand the whole text especially the important points. If there is a word in a sentence that you don’t understand, underline it and read the sentence again a few more times. You may be able to guess the meaning of the word. Then read the questions carefully and choose the best answer. Make sure you read all the options given before choosing the best answer. * This section tests pupils’ ability to write sentences. 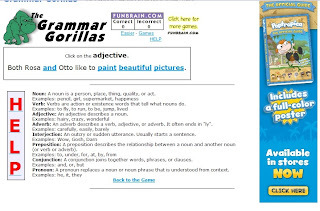 Pupils will be given a picture and they have to construct five sentences. Pupils may choose to construct the sentences without using the helping words. Example: The boys are playing football. Example: The boys and their friends are playing football in the field. Example: Johan, who is wearing jersey number seven, is playing football in the field. * Do not make assumptions. Write sentences on what you see in the picture. If you want to use names, make sure that you describe clearly the person you are writing about. * After you have completed all the five sentences, make sure you check the grammar, punctuation and spelling. Write clearly so as not to confuse the examiner. * Don’t relate yourself to the picture. * This section contains two questions. Pupils need to transfer the information from the question into the table. Then, they have to make a choice based on the question given and state the reasons for the choice. * For information transfer pupils need to be aware of the spelling, punctuation and their writing. They need to write clearly and obey the punctuation rules. If the answer written is not legible, no marks will be awarded for the answer. Pick and choose the information based on what is required in the table. Do not copy in any particular sequence. * For the second part of the question, pupils need to make a choice and state the reasons for their choice. Before you start your answer, read the instruction. Make sure you write based on the choice made. You and your family are going on a trip. Based on the information given, which type of tour would you suggest? Give reasons for your choice. * Don’t only write statements. Support them with logical and suitable reasons. Give some elaboration on your reasons. I would choose Aerobus 380 because it can carry the most number of passengers. It is also the longest and the widest among the three planes. Thus, it will be more spacious and I will be able walk around in the plane especially since I’m going to Paris. It is the fastest and does not need any refueling until its destination. It is powered by four jet engines. It will be able to reach the destination faster than the others. * After completing the answers, pupils must check the sentences for grammar, spelling or punctuation errors. * Pupils need to write creatively in this section based on the pictures and words given in the question. Pupils must read the instruction before writing their answer. Pupils may need to use all the words. Sometimes they may not need to use all the words. This depends on the instruction. Therefore, it is crucial for pupils to read the instruction carefully. answers in the space provided. * Pupils are free to name the characters in their answer. They can also name the places in the pictures. * Start your answer with an interesting introduction and end it with an interesting closure. Your introduction need not be too long. Two or three sentences will be sufficient. * Write at least four sentences for each picture. Make sure you describe the pictures well. You may use proverbs and similes to make your answer more interesting. * After completing the answer, read through the sentences. Check for any errors in grammar, punctuation and spelling. Overall, pupils need to be alert and concentrate while answering the questions. Leave the question that are difficult, answer the easier ones and come back to the difficult ones later. Read the instruction before attempting to answer the questions. Finally, check all your answers before you hand in the answer script to the invigilators. So, good luck and may God bless you all. Look at the picture carefully. Write five sentences about it. You may use the words in boxes to help you. You are advised to spend about 15 minutes on this question.